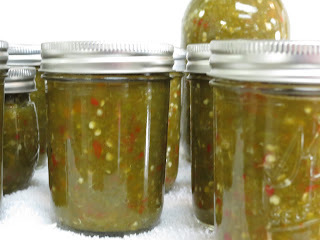 I found this great recipe for hot pepper relish on the Homesteading Quest site and had to share it. Everyone in my home likes hot and spicy relish. But you can make this same recipe with sweet peppers if you like a sweeter relish. Please take note of the comment in the article about the best type of onions to use. I made hot pepper relish once with purple onions and it didn’t taste good at all. You’ll find clear instructions and some great photographs. The recipe itself is at the end of the article. Excellent recipe! Click on the How to Make Hot Pepper Relish link below to see the complete recipe.